In 1940, a year before the Nazis started deporting Jews to death camps, Joseph Stalin ordered the deportation of approximately 200,000 Polish Jews from Russian-occupied Eastern Poland to forced labor settlements in the Soviet interior. As cruel as Stalin’s deportations were, ultimately they largely saved Jewish lives, for the deportees constituted the overwhelming majority of Polish Jews who escaped the Nazi Holocaust. 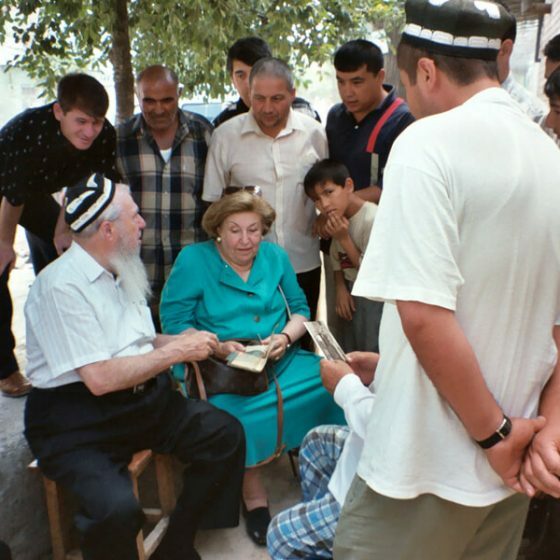 Saved by Deportation not only tells this story, but it re-traces the path Asher and Shyfra Scharf traveled more than 60 years ago from Poland to Siberia to the former Soviet states of Tajikistan and Uzbekistan in Central Asia. Read more below. Prior to the outbreak of the Second World War, 3 million three hundred thousand Jews lived in Poland ­ By 1945 only 300,000 survived. Of the survivors, approximately 80% escaped the Holocaust as a result of Stalin’s deportation deep into the Soviet Union. This film tells the story of seven deportees, who in 1940 were sent to Gulag labor camps. In 1940, a year before the Nazis started deporting Jews to death camps, Joseph Stalin ordered the deportation of approximately 200,000 Polish Jews from Russian-occupied Eastern Poland to forced labor settlements in the Soviet interior. As cruel as Stalin’s deportations were, in the end they largely saved Polish Jewish lives, for the deportees constituted the overwhelming majority of Polish Jews who escaped the Nazi Holocaust. Saved by Deportation tells this historical irony for the first time in mainstream media. 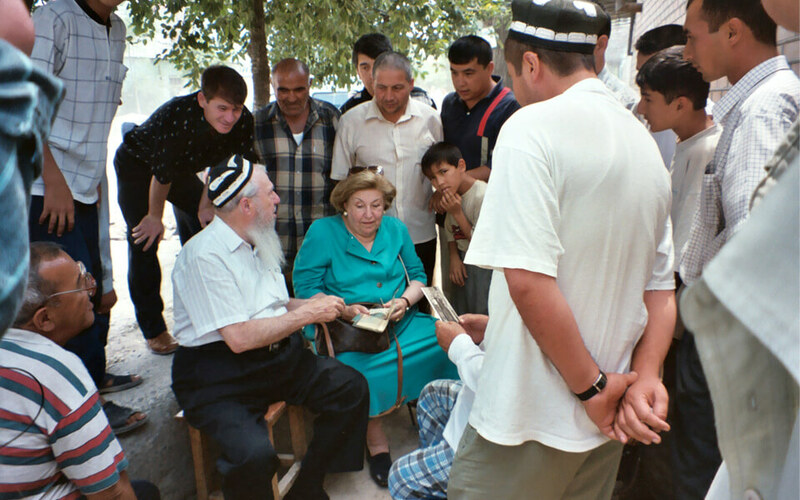 This documentary follows Asher and Shifra Scharf, elderly Chasidic Polish Jews and former deportees, as they travel through Poland, Russia, Uzbekistan and Tajikistan, revisiting their places of exile, and untangling the threads of time and memory to reconstruct the events of six decades past. Their dramatic journey begins at the train station in Lvov, Poland, from where Asher and Shifra were separately deported with their families in June, 1940. The Scharfs journey next to Chelyabinsk, Russia, located in southern Siberia, where Asher tours the now abandoned coal mine where he and his father were forced to work through the harsh winters, until their release in late 1941. Asher also enters the old wooden barracks where his family and other Polish Jewish deportees lived. Incredibly, the sparse and dilapidated barracks are still used as housing for poor Russian families, and it’s a poignant scene when Asher meets the current Russian occupants, and touches the walls of his former residence that hasn’t much changed in sixty years. 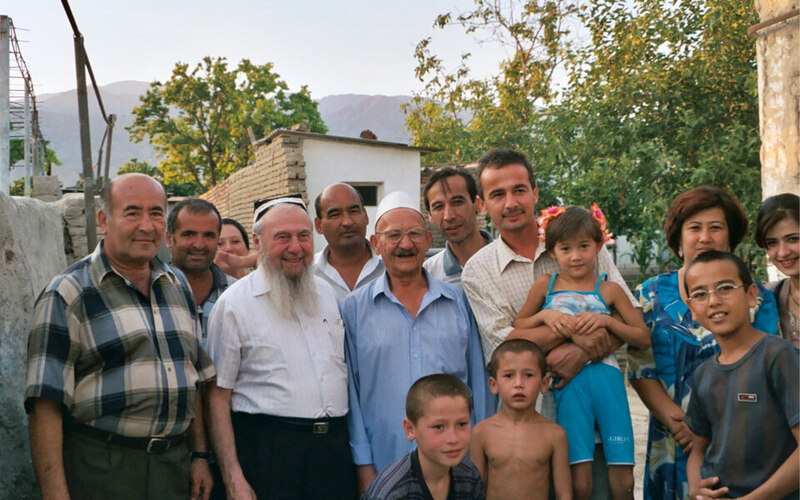 Returning after 60 years to Central Asia, the local Muslim populations greet the deeply religious Scharfs, who openly observed their religious ceremonies and did not attempt to hide their Jewish identity, with enormous warmth, respect, hospitality, and a bit of curiosity. 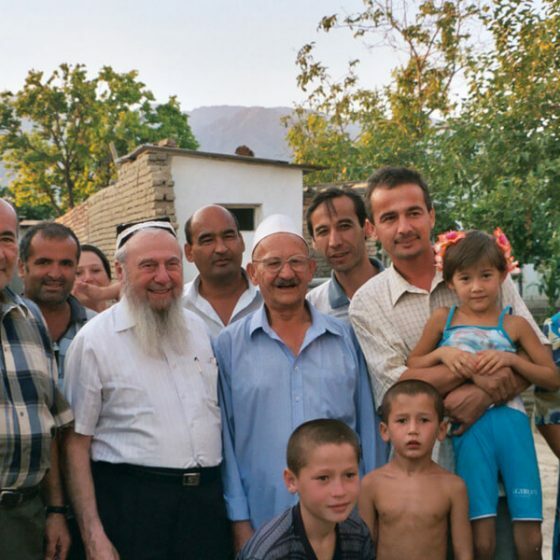 The Scharfs recall that during the Second World War, when everyone suffered severe deprivation, and Hitler’s Final Solution was decimating Eastern European Jewry, the local Muslims assisted the Jewish deportees streaming into Central Asia. During a time of extreme hardship caused by war and Stalinism, many reached out to those of a different ethnic background, and these cross-cultural interactions yielded rich humanistic experiences. “Saved By Deportation” provides a lens through which a general audience can look at the deportation experience as it pertains not only to Polish Jews, but also to other displaced populations. The film reveals the many unique ways that deported individuals and families attempted to preserve their identity and culture, and poses questions that are relevant to many displaced and immigrant communities. Through personal recollections and scholarly commentary, “Saved By Deportation” explores the important support mechanisms upon which the Polish Jews depended – family, culture, religion, personal relationships both within and outside their immediate communities – as they endured six years of exile in foreign lands. In addition to examining intra-ethnic relations, “Saved By Deportation” focuses heavily on the ways in which individualism and inter-ethnic support act as social and political forces, even in the face of a centralized totalitarian state. By highlighting the rich interactions that the Scharfs have with local Muslim populations during their trip, “Saved By Deportation” explores whether or not preconceived notions of different cultures can be broken down at individual levels of interaction. The film emerges as an inspirational testament to the ways in which individual relationships can belie the generalities of racial and cultural stereotypes. Shot in the cinema verité style, the film follows the Scharfs in their tireless search for the past. Context and background information are deftly woven into their deeply moving personal stories, thus enhancing them for a general audience. The film incorporates rare historical footage depicting the Soviet deportation transports, the Gulag labor settlements, and the deportees in Central Asia. This material is augmented with personal artifacts, including period photographs of deportees, and is juxtaposed with on-location interviews. The location filming provides striking and evocative imagery – both emotionally and visually. Viewers see the cattle cars that carried the deportees away, an abandoned labor camp comprised of decaying wooden barracks, the vast Russian expanse leading to Central Asia, the ancient Silk Road cities of Tashkent and Samarkand, mosques, and open air markets full of colorful people and exotic foods. They hear the Muslim call to prayer, the hustle and bustle of the bazaar, the clatter of wheels on the rough roads, and the voices of local people guiding the Scharfs on their way – in no less than six different languages. These sounds and images evoke the exotic nature of the Scharfs’ journey and paint a rich visual tapestry for viewers. Film opowiada o losach setek tysiecy polskich Zydów, ktorzy unikneli zaglady w niemieckich obozach koncentracyjnych dzieki… wywózce do stalinowskich obózow pracy w 1940 r. Dokument takze przedstawia historie Ashera i Shyfry Scharf, którzy 60 lat pózniej udaja sie w podróz z Polski przez Syberie, Tadzykistan do Uzbekistanu w Azji Centralnej, odwiedzajac obozowe baraki w których mieszkali, stara kopalnie na Syberii gdzie pracowali i dom w Samarkandzie, w którym wzieli slub. Ta malo znana opowiesc o przetrwaniu jest nie tylko opowiescia przygodowa ale przede wszystkim afirmacja ludzkiej dobroci w trudnych czasach. Principal funding for the production of Saved By Deportation:An Unknown Odyssey of Polish Jews was made possible by the generous support of The Harry and Jeanette Weinberg Foundation, Inc.
Soviet dictator Joseph Stalin, perhaps the worst mass killer in human history with the blood of tens of millions of people on his hands, once inadvertently saved Polish Jews from the Nazi death camps and gas chambers by deporting them to Siberia and other parts of the USSR. In 1940, one year before the Nazis commenced their program of extermination, Stalin ordered the deportation of some 200,000 – perhaps as many as 300,000 — Polish Jews from Russian-occupied Eastern Poland to Gulag labor camps deep in the Soviet Union. In 1939, just before the outbreak of World War II, Poland boasted a Jewish population of some 3.3-million, or about 8.5 percent of the total (and almost one-third of Warsaw’s population). By 1945, at war’s end, only about 300,000 to 350,000 Polish Jews remained. The tragic fate of the Polish nation was sealed in August 1939 when Germany and the Soviet Union signed the so-called “non-aggression” pact, leading to Germany’s spectacular blitzkrieg of Poland the following month and the eruption of the Second World War. Many were executed on the spot, while others — the “lucky ones” — were deported to labor camps in Russia. Initially some Polish Jews welcomed the arrival of the Russians, viewing them, with good reason from their viewpoint, as a “lesser evil” than the Germans. In fact, some Jews occupied positions of authority in the Soviet-occupied Polish government infrastructure prior to the deportation order. On the whole, approximately 1.5 million Poles (including Jews) were deported to the Soviet Union. Many of the deported Polish Jews died in appalling conditions in Siberia, where they were forced to work excessive hours in extreme cold and little food. However, by September 1941 (three months after Germany attacked the Soviet Union), following negotiations between Stalin and the Polish government-in-exile (in London), an amnesty was granted to the deported Polish citizens (both Jews and Catholics). They were compelled to form a Polish army within the Soviet Union to fight the Germans. Menachem Begin, the future Prime Minister of Israel, was one of these survivors. All told, about 6 million Poles died in World War II, about half of them Jews, primarily in the Nazi extermination camps of Auschwitz, Treblinka, Majdanek, Belzec, Sobibor and Chelmno. The ones who survived, largely did so through the bizarre (and unintended) intervention of Stalin. The story of how these Polish Jews survived the war had remained largely unknown until decades after the fact. 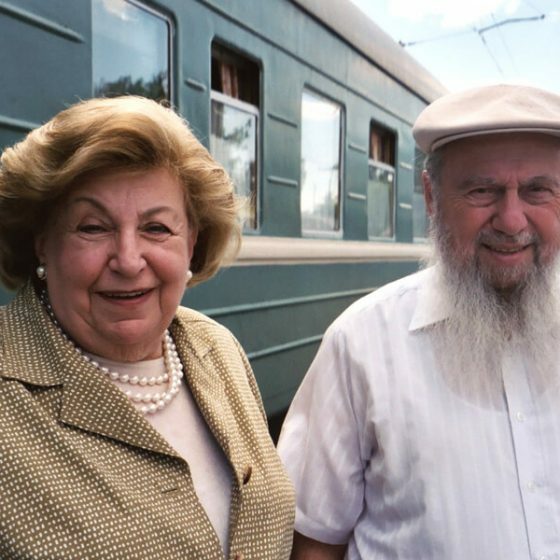 In 2007, a Polish-born American documentary producer and director named Slawomir Grünberg released a film called “Saved by Deportation” which told the story of some of the Polish Jews who were spared the death camps by being transported to the Soviet Union. 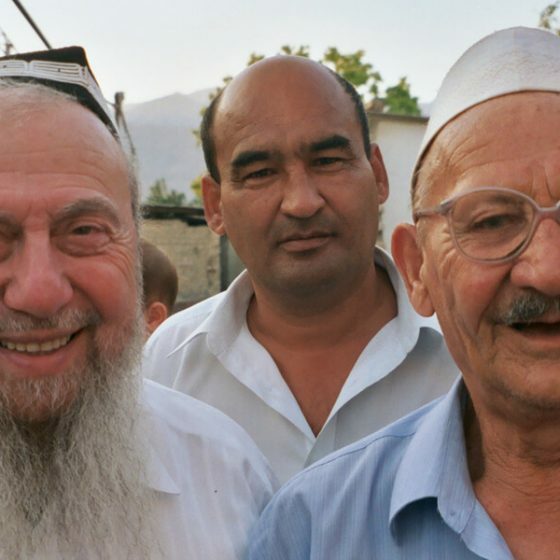 The documentary charts the story of Asher and Shyfra Scharf, two Polish Jews who were sent to the Muslim-dominated regions of Tajikistan and Uzbekistan in Central Asia, as well as Siberia. Another Jewish deportee, a woman named Sylvia Becker, told the filmmakers of her harrowing tale of fleeing the Germans in western Poland for the east, eventually ending up in a labor camp near the Arctic Circle. 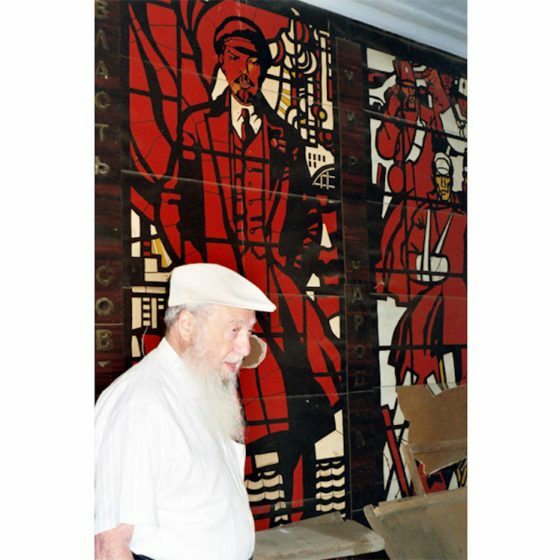 Another interviewee, Alexander Schenker, the scion of an upper-middle-class Jewish family from Krakow, told of the extremely hard work he was forced to do in Siberian forests, cutting down trees in bitter cold weather. But Stalin had no humanitarian interest in saving Jewish lives – indeed, his extreme anti-Semitism was well-documented, despite the fact that many of his Bolshevik colleagues leading up to and after the Russian Revolution were themselves Jews. Robert Conquest, who wrote “Stalin: Breaker of Nations,” said that while Stalin held anti-Jewish views from his Georgian youth, his hatred did not become an obsession until after the defeat of Hitler and the beginning of the Cold War. “Stalin’s attitude [towards the Jews] seems to have been based in part on what he took to be Hitler’s successful use of anti-Semitic demagogy,” Conquest wrote. Conquest also noted that after Golda Meir arrived Moscow in late 1948 as Israel’s first ambassador (and was warmly received by many Soviet officials), Stalin started another purge of Jews in the country, leading to the notorious “Doctors Plot” of 1952-1953 when Stalin arrested Moscow physicians (most of them Jewish) whom he charged with seeking to poison and kill Soviet leaders on behalf of the British and Americans. [Stalin died in March 1953, which put an end to this episode.]. After Stalin’s death, it was also revealed that Stalin had wanted to deport Russia’s Jews to Birobidjan, a remote part of Siberia, near China’s northeastern border, almost 5,000 miles east of Moscow, according to P.K. Ponomarenko, the Soviet ambassador in Poland. Stalin defended the decision, citing that he and the Soviet Union were the targets of a “Zionist and imperialist” plot. The proposal was rejected by Marshal Klementi Voroshilov, one of Stalin’s top military officers. Molotov, who had a Jewish wife, also expressed his reservations. Reportedly, an enraged Stalin died soon thereafter, canceling that particular deportation order. Notwithstanding his virulent anti-Semitism (and his own sanctioning of the killing of Jews within Russia itself), Stalin’s order ironically saved these Jewish lives – indeed, these deportees represented the bulk of Polish Jewry who survived the Nazi Holocaust. As directed by Slawomir Grunberg, this historical documentary discusses one of several deliverances from the Holocaust that occurred during the Second World War. Intriguingly, this particular series of circumstances entailed not an act of heroism or a valiant rescue effort per se (as, say, the Kindertransport did), but a by-product of political annexation. Though only 300,000 of the 3.3 million Jews in Poland survived the Holocaust, 80% of those individuals found deliverance at the hands of the Soviets, who annexed Eastern Poland in 1939 – and promptly shipped its residents off to Stalin’s gulag labor camps. That might seem a harsh fate to some (with the forced marches, hard labor, exhaustion and bedbugs), though it of course represented a welcome alternative to the torture and death of the camps, prompting at least one of the transports to refer to the gulag camps as “Heaven” in retrospect. In this film, Grunberg interviews seven of those who evaded the concentration camps in this manner; he places a particularly strong emphasis on transport Asher Scharf, who (along with his wife Schyfa) makes an on-camera trip to Chelyabinsk, Siberia – the location that once held the gulags. When the filmmaker and his subjects arrive, they then uncover another irony – the irony that many of the transports, upon being released from the gulags, were promptly shuttled off to Muslim-dominated Tajikstan and Uzbekistan and began new lives there. Grünberg’s second documentary, “Saved by Deportation: An Unknown Odyssey of Polish Jews” is scheduled to screen April 19 at Cornell Cinema in Ithaca. It opens at a train station in Lvov, Poland, where Asher and Shifra Scharf begin their dramatic journey to retrace their deportation in 1940. 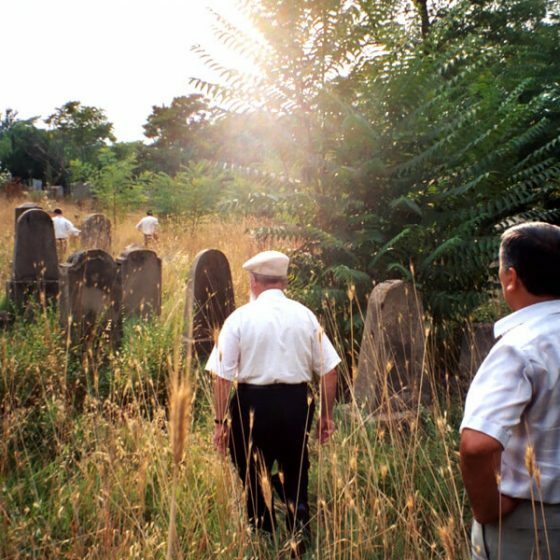 The elderly Chasidic Polish Jews revisit their places of exile, unlocking experiences and events from six decades ago. Co-producer and filmmaker Robert Podgursky asked Grünberg if he would be interested in directing the film, because of his family’s experience of Jewish deportation. Slawomir Grünberg said it took a long time to gather funding and find people willing and able to travel to Siberia and Central Asia to retrace their history. He found the Scharfs in Brooklyn. At the beginning of Saved by Deportation, a documentary by Slawomir Grunberg, one of the films’s featured subjects, Asher Scharf, reflects on his incredible journey and comments: “When it’s meant to be that you should be alive, you stay alive.” This simple quote is a summary of the enduring faith of Asher and his fellow peers who survived the dark years of World War II and the Holocaust through a strange twist of fate. However, this harsh policy became a gift of life for many of the Jewish prisoners who were saved from the Nazi death camps. When the camps granted them freedom, the refugees had to embark on foot, train or any other means through Central Asia in search of a way home to safety. Along their journey, the prisoners fought off disease and hunger, but remarkably managed to raise their children, get married and, most importantly, maintain their faith. The idea for this — in the words of the director — “biblical seven year” project was posed to Grunberg by Robert Podgursky, a co-producer of Saved by Deportation whose father was deported to the labor camps. 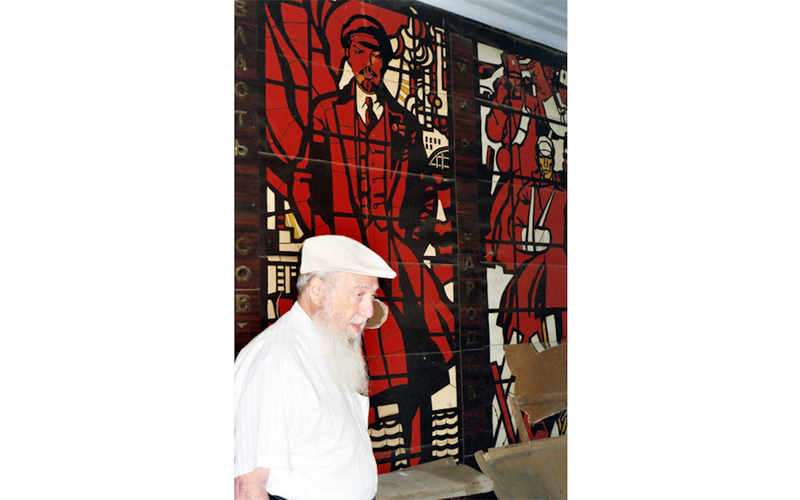 Grunberg, a Polish Jew himself whose father also survived the Nazis in World War II, became intrigued with the project. In a recent interview, Grunberg commented: “In some ways this film tells his story too.” Grunberg’s efforts have yielded a wonderful, provoking film that has won the Audience Award for Best Documentary at the Washington Jewish Film Festival. The film’s strongest asset is Grunberg’s decision to revisit the sites of the Polish Jews’ exodus across Central Asia with Asher and Shifra Scharf — a married couple now in their 80s who survived the experience. It’s one thing to watch a documentary that features interviews and archival footage. It’s a completely different experience when you can watch an 80-year-old man visit the same room in Russia where he huddled against the cold winter, or when Asher and Shifra revisit the places of their courtship and marriage that took place in Samarkand, Uzbekistan. As Asher and Shifra reach out and interact with people who — 60 years later — live and work in the same coal mines, apartments and shelters, they also reach out to us as an audience. A secondary theme is present in Saved by Deportation, one that even Grunberg was surprised to discover as he filmed the documentary. It is the remarkable human kindness that often coexists with our history’s darkest moments. All of the survivors note the incredible charity that they encountered during their exodus through present-day Uzbekistan and Tajikistan. 60 years later, Asher and Shifra encounter the same kindness in nations which our media and popular sentiment suggest would be the most hostile for Westerners, let alone Orthodox Jews. 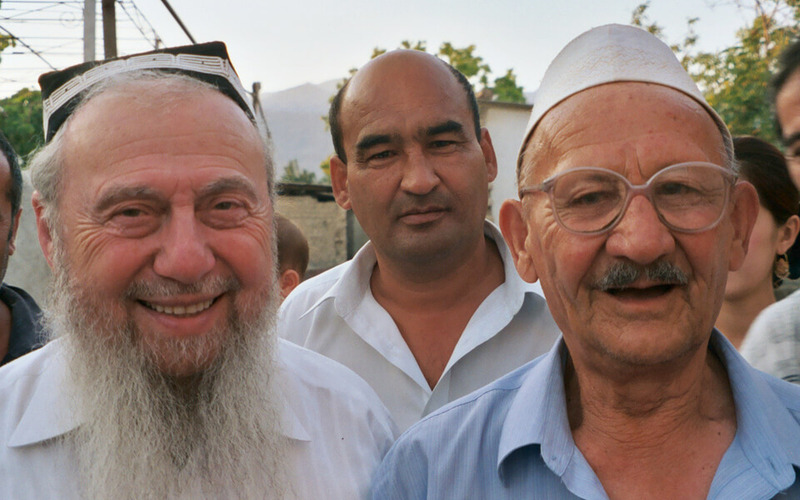 In one of the film’s most touching scenes, Asher exchanges stories, prayers and tales of his grandchildren with a Tajik man. Like the subject matter of Saved by Deportation, it is a wonderful, human proof of genuine faith and kindness, even in the face of extreme differences and challenges. Cornell Cinema will be showing Saved by Deportation on Thursday, April 19 at 7:15 PM in WSH with local filmmaker Slawomir Grunberg, editor Christopher Julian and soundtrack composer Robby Aceto. The films this year cover a wide range of topics and subject matter…… Every year there are a few films that seem to strike especially close to home…. Saved By Deportation is the first film I have seen about the Jews who fled the Nazis and wound up in the Soviet Union. They were arrested and eventually ended up in the Soviet republics of central Asia. This saved the lives of over 200,000 Polish Jews, including my own parents. In relatively recent historiography, Stalin has been re-assessed as an egotistical megalomaniac and ruthless tyrant on par with his arch nemesis, Adolph Hitler. It has been argued that his mass executions of political dissenters and rebels was as ruthless and inhumane as anything Hitler did. The difference, at least in broad strokes, was that Stalin’s genocide wasn’t racially motivated, but rather political. 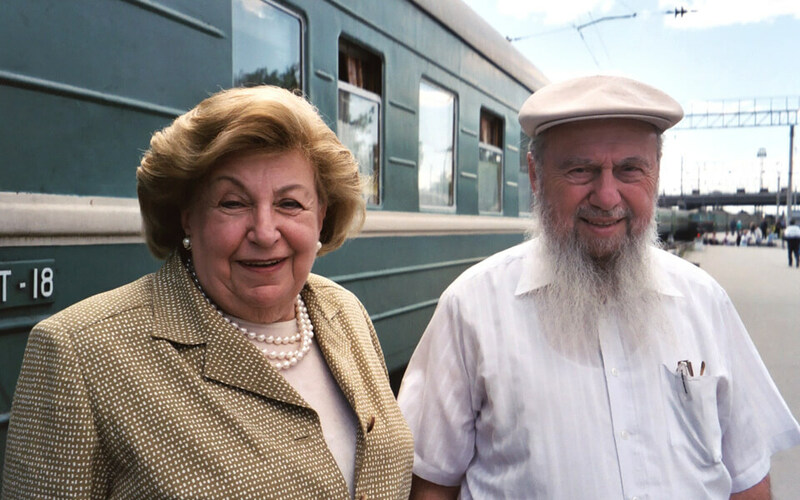 In a new documentary by Slawomir Grunberg and Robert Podgursky, which makes its New York debut at Makor, “Saved by Deportation” tells the bleak story of Jewish survival under Soviet oppression. Of the 500,000 Poles deported from the country’s eastern provinces, under Soviet control, 200,000 were Jews. They slaved away in forced labor camps in Siberia, among other places, but ultimately survived the war and built life anew. The same can’t be said of Poland’s western Jews, who under Nazi occupation had their grim fate sealed almost immediately. Grunberg’s film documents this contrast, and the director will discuss it after the film’s screening. — Makor, 35 W. 67th St. (212) 415-5500. Wed., Mar. 14, 6 p.m. $15. Documentaries that depict refugees and road trips are common in Jewish film festivals, but as Saved by Deportation demonstrates, there are still unexpected stories within this much-explored territory. The protagonists of this documentary are people who feared they were on the wrong side of the frontier when Germany and the Soviet Union divided Poland in 1939. Some 500,000 Poles, about 200,000 of them Jewish, were sent to work camps in Siberia, where life was hard but survivable. In 1941, when the Germans and the Soviets went to war, the latter allied with the Polish government in exile, and the Poles behind Soviet lines were set free. Most headed south, where they made new lives among the predominantly Muslim population of Tajikistan and Uzbekistan. Director Slawomir Grünberg uses Asher and Schifra Sharf, a couple that eventually settled in Brooklyn, as his guides. 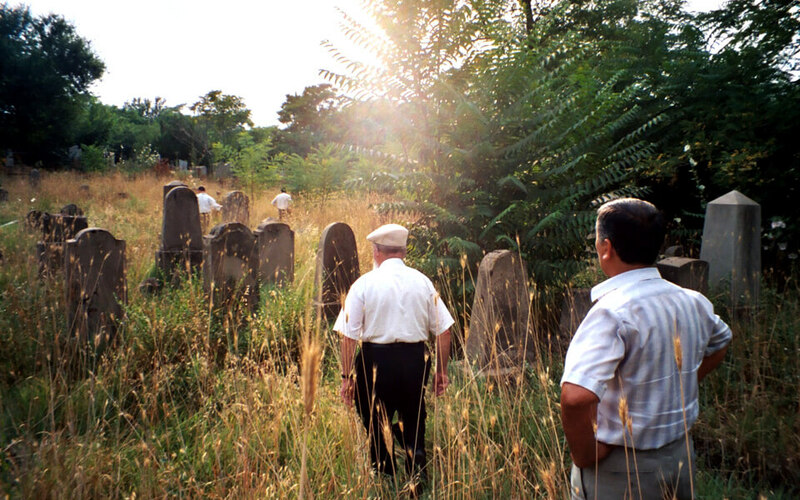 Their visit to the lands that sheltered most of the Polish Jews who survived World War II is poignant, yet not without joy. At their 58th wedding anniversary, the Sharfs can show video of the city where they married, which is neither Krakow nor New York but Samarkand. I understand that your father went through this experience, and that was your inspiration for this film, but you did not use his story specifically in the film? I did not use him personally in the film because he was very young, he was only four years old when World War II broke out, and about 10 when the war was over. Even though he remembers quite a bit, we wanted to use older subjects for the film because they would have more substantive memories and different kinds of experiences than a young child, like my father. Dear Slawomir, Warm greetings from Melbourne. We are wrapping up our festival (Festival of Jewish Cinema in Australia) and I want to thank you again for participating at our event with Saved By Deportation. I was very pleased to be able to present your film on several levels. As you may appreciate, we preview many, many documentaries each year dealing with WW11 subjects, but its not often we come across one that deals with such an important but hitherto overlooked subject Everyone was, of course, impressed and pleased to have seen your film. During the festival I received a lot of positive feedback and phone calls. They fell in two categories, my parents generation, who experienced the events relayed first hand, and my generation, who were both surprised and pleased to learn how our parents came to survive. As I may have already mentioned, the film mirrors my late father’s own journey, from the time he was deported to a Gulag somewhere near or north of Syktyvkar (misspelt I think ? – do you know anything about this camp?) to his release to somewhere warmer. I wish you lots of success with this film, and would like to take this opportunity to encourage you to make more Jewish films, should you need any such encouragement. I thought that you might like to know that my son Matthew and parents viewed a DVD of Saved by Deportation recently. As a result of your efforts, they had the unique experience of sharing my dad’s (and the Polish Jews) Shoah history, visualized. It was very moving for them both. I immediately viewed Saved By Deportation. Fascinating. Asher is like Santa Claus. I understand that humor, that world view, that attitude of revitalization. I grew up among the same people. I recognized some of the observations. The bedbugs. That was one of the first things that I recall my dad telling me as a child. They tormented him. The thermometer. The trees. He also cut lumber. He once told me his opinion of why Communism would never work. He said that they had an unrealistic quota of trees that they had to fell. The authorities would mark the downed trees. Due to the fact that they could not meet the quota, they would just cut away the mark and the authorities would recount the tree the next day. He also caught malaria, nearly died. He found some quinine and survived. They lived in Stalinabad, too. … For me the most amazing thing about the film was actually seeing the Siberian barracks. Finally, after all these years, an image. My dad also left relatives behind when they fled Ulanow. He said goodbye to his grandparents, both in perfect health, in their late seventies and early eighties. At the time, they thought that they could not have made the trip. Maybe they were right and maybe they were wrong. … I loved the fact that you ended the film with a wedding (a la The Godfather, but with quite a twist). I always go to the end of Shoah literature first. I have to see, read of the liberation, survival before getting into the material. It’s all part of my essential “Am Yisroel Chai”. W okresie II wojny swiatowej wywozenie ludnosci w glab ZSSR oznaczalo przewaznie jedno – smierc. Przyczyna byla nieludzka, katorznicza praca w odleglych obozach Syberii. Film Slawomira Gunberga „Ocaleni przez deportacje” pokazuje, ze wywiezienie do Rosji ocalilo zycie tysiacom Zydów, a nie kiedy bylo niczym w porównaniu z pieklem jakie czekalo na nich po powrocie do rodzinnego domu. Film rozpoczyna sie od wydarzen roku 1940, gdy Stalin podjal decyzje o wyslaniu w glab Zwiazku Radzieckiego 200 000 polskich Zydów. Jak wspominaja bohaterowie, gdy dotarli na miejsce, mieli do wyboru: przywyknac albo umrzec. Przywykli. Jedni pracujac w kopalniach, inni scinajac drzewa na 50 stopniowym mrozie. Nie bylo mozliwosci ucieczki, nie bylo dokad. Podpisanie polsko – radzieckiego porozumienia w czerwcu 1941 roku, poprawilo sytuacje Polaków na zeslaniu. Byli wolni. Teoretycznie. Nie mogli wrócic do Polski, ani udac sie dalej na wschód. Pozostala droga na poludnie. W tym momencie filmu rezyser zabiera nas w podróz razem z Aszerem i Szyfra Szarf, którzy przemierzaja ta sama droge co przeszlo 60 lat temu. Wspominaja to, co ich spotkalo. Z jednej strony choroby; malaria i dur brzuszny, z drugiej niesamowita zyczliwosc ludzka. Po wojnie wracaja do Polski. Nie byli w stanie przewidziec tego co zastana – szerzacego sie antysemityzmu, a efekcie mordu którego dokonali Polacy. Slawomir Gundberg porusza tematyke niezwykle ciezka, w która wpisuje sie takze wydana niedawno ksiazka J. Grossa „Strach”. Jak sie okazalo na konferencji zwolanej po projekcji, zakupem filmu nie byla zainteresowana zadna z polskich stacji. Dopiero niedawno Discovery Historia Polska zakupilo prawa do filmu. Moze jednak warto, zmierzyc sie z tym co trudne i bolesne? W nowojorskim The Makor/Steinhardt Center, w dniach 14 i 15 marca br. pokazany zostanie dokument pod tytułem “Uratowani przez deportację: Nieznana odyseja polskich Żydow”. Jest to nowy film Sławomira Grunberga, współreżysera dokumentalnego obrazu “Płonący facet”, zrealizowanego wspólnie ze zmarłą kilka miesięcy temu Ewą Piętą. Trwająca przeszło siedem lat praca nad filmem zaowocowała między innymi nagrodą dla najlepszego dokumentu na odbywającym się w grudniu 2006 roku Festiwalu Filmów Żydowskich w Waszyngtonie. Film “Uratowani przez deportację: Nieznana odyseja polskich Żydow” opowiada o losach 200 000 polskich Żydów, którzy uniknęli zagłady w niemieckich obozach koncentracyjnych dzięki… wywózce do stalinowskich obozów pracy w 1940 r. Dokument przedstawia także historię Ashera i Shyfry Scharf, którzy 60 lat wcześniej odbyli wędrówkę z Polski przez Syberię, Tadżykistan do Uzbekistanu w Azji Centralnej. Ta mało znana opowieść o przetrwaniu jest nie tylko opowieścią przygodową, ale przede wszystkim przykładem afirmacji ludzkiej dobroci w trudnych czasach. Scenariusz napisał, a także film wspólnie ze Sławomirem Grunbergiem wyprodukował, Robert Podgursky. Reżyser jest także autorem zdjęć i narratorem trwającego 80 minut obrazu. Sławomir Grunberg od roku 1981 mieszka i pracuje w Stanach Zjednoczonych gdzie wyjechał po ukończeniu szkoły filmowej. Dziś jest jednocześnie reżyserem, operatorem i producentem filmowym oraz telewizyjnym. Wśród jego dokonań znajdują się między innymi filmy: “Kazimierz Braun – na pograniczu kultur” (1994), “Chelyabinsk. The most contaminated spot on the planet” (1996), “Gus van Sant. Buntownik okiełznany”, “From Chechnya to Chernobyl” (1998), “School prayer. A community at war” (1999), “Zielona karta”, “Zenceline. A company town divided” (2002), “B&B Guestbook” (2004), “Dziedzictwo Jedwabnego”, “Wygnańcy. Nieznani bohaterowie Solidarności” (2005), “Uratowani przed deportacją”, “Portraits of emotion”, “Płonący facet”. Dokument na temat Zydów „Saved by Deportation” w rezyserii Polaka Slawomira Grunberga zdobyl nagrode publicznosci dla najlepszego filmu dokumentalnego na 17. Festiwalu Filmów o Tematyce Zydowskiej w Waszyngtonie (Washington Jewish Film Festival) – poinformowano na stronach internetowych festiwalu. 75-minutowy dokument Grunberga to produkcja amerykanska. Opowiada o zdarzeniach z 1940 r., kiedy na polecenie Józefa Stalina 200 tys. Zydów z terenów wschodniej Polski zostalo wywiezionych do obozów pracy w ZSRR. Mimo, ze wywózki te mialy brutalny charakter, uratowaly zycie wielu Zydom – podkreslil w filmie Grunberg. 55-letni Grunberg to operator, rezyser oraz producent filmowy i telewizyjny. W 1981 r., po ukonczeniu studiów rezyserskich i operatorskich w Panstwowej Wyzszej Szkole Filmowej, Telewizyjnej i Teatralnej im. Leona Schillera w Lodzi, wyjechal na stale do Stanów Zjednoczonych, gdzie zrealizowal ponad 40 filmów dokumentalnych. Rozglos zyskal m.in. jego tegoroczny dokument „Plonacy facet”, zrealizowany wspólnie z Ewa Pieta. Film ten opowiada o specyficznym artystycznym zwyczaju, który powstal w USA. 20 lat temu w San Francisco rozczarowany przygoda milosna Larry Harvey spalil symbolicznie na plazy wielka kukle mezczyzny. Pomysl ten podchwycili wkrótce inni. Obecnie na imprezach, podczas których palone sa kukly, zbiera sie w USA kilkadziesiat tysiecy osób.